The Orange County Registrar of Voters released their 2018-2019 biennial Voting Rights Act Compliance and Bilingual Outreach report today. The report presents a thorough picture of the Registrar of Voters' Community Outreach Program, including their compliance with the federal Voting Rights Act as well as California's voting rights laws. A unique report among election officials, this 2019 updated report focuses on progress made since we published our first report in 2010. 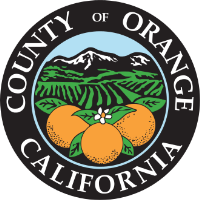 The report is designed for any citizen or group interested in outreach efforts in Orange County elections. The Registrar of Voters details the federal requirements, provides insight into the Department´s approach to meeting the requirements and provides profiles of Orange County´s diverse communities with demographic data compiled during the 2010 U.S. Census. This year's report also features individual members of the community - sharing their stories of how the Voting Rights Act, and the Registrar of Voters' programs, have benefited their voting experiences. The Registrar of Voters has surpassed an all-time record in 2018 by creating and attending more than 130 voting outreach events, reaching thousands of citizens in advance of the 2018 Primary and General Elections. In addition to providing outreach, the Registrar of Voters provides election materials and bilingual assistance in mandated languages in order to comply with both the federal and state voting rights laws. A copy of the 2019 updated Voting Rights Act Compliance Report can be viewed here.